Evanescence is rock band, initially formed in 1994 by Amy Lee and Ben Moody. In this form, the duo released three EPs before the end of the 1990s and an album called Origin. In 2002 they were signed to Wind-Up Records and expanded the line-up to include musicians John LeCompt, Will Boyd and Rocky Gray. In 2003 they released their first official album, Fallen, which sold over 15 million copies. The band has had a varied line-up, with a number of band members leaving at various stages in their history. One of the founder members, Ben Moody, left in the middle of their European tour in 2003. He was replaced by Terry Balsamo. In 2005, Will Boyd also left, with Tim McCord joining in 2006. During their 2007 tour, John LeCompt was fired and Rocky Gray decided to quit. These two members were replaced by Troy Lawham and Will Hunt. Evanescence released a live album, Anywhere But Home, in 2004. This was followed by Open Door in 2006, which sold one million copies in its first week. The band then waited five years to release their third album, the self-titled Evanescence. The single, Bring Me To Life, spent four weeks at the top of the UK charts in 2003 and reached the top five in Ireland. The band has toured extensively across the world. Their 2012 world tour took in a number of dates in the UK, as well as covering South America and North America, Australia, China, Japan and Indonesia. The band has received five Grammy nominations and has won two awards — for Best New Artist and Best Hard Rock Performance. Other accolades for the band include a Los Premios MTV award, a MTV Australia Video Music Award, a NRJ Music Award, two Teen Choice Awards and a World Music Award. 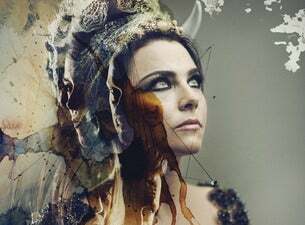 Amy Lee was awarded the National Music Publishers' Association's Songwriter Icon Award in 2008. Evanescence's lead singer, Amy Lee, has worked on a number of other projects. Her version of Sally's Song was included on the soundtrack for Disney's The Nightmare Before Christmas. Her collaborations with other artists have included Korn's Freak on a Leash single and Seether's Broken, which was featured on the soundtrack for The Punisher. She has also performed on tracks for David Hodges, Big Dismal and The Damning Well.